In summer 2019, the Goethe-Institutes USA and Canada are going to offer a five-week-long professional development event for 20 young teachers of German from the U.S. and Canada. The summer school consists of two components: a three-week-long online phase and a two-week-long face-to-face session in Germany. The goal for this summer school is twofold. First, there will be mini-workshops focusing on developing teachers' instructional expertise in several areas areas that are particularly relevant for North-American teachers, such as assessment, using digital media in the German classroom, or differentiated instruction. 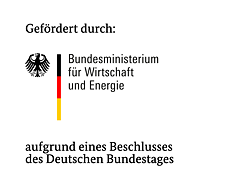 The mini-workshops will be led by experts from the Goethe-Institutes in Germany and will be augmented by classroom observations in German schools. At the same time, participants will have an opportunity to improve their own German language abilities through an integrated language course designed specifically for teachers (Levels B1-C1) as well as through the around-the-clock immersion environment. The overarching theme for both components will be presenting and exploring current issues and trends in the German culture. The summer school consists of two components: a three-week-long online phase and a two-week-long face-to-face session in Germany. The online phase will ensure accurate placement into the appropriate language course section and serve as preparation for the face-to-face instructional activities. At the end of the summer school, the participants will be able to take an optional Goethe-Institut exam. The primary target audience for this summer school are non-native German school teachers with less than 4 years of professional experience. In order to be considered you have to be a member of the AATG or CATG, if you are not a member yet, please join AATG or CATG before applying. The participants will be responsible for travel and meal costs as well as for costs of the Goethe-Institut exam, should they choose to take it. You will receive a notification from us regarding your acceptance as well as further information by April 30, 2019. In order to be considered you have to be a member of the AATG or CATG, if you are not a member yet, please join AATG or CATG before applying.